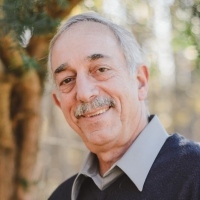 Frank Pellegrino, Jr., 68, widower of Martha Jean (Mullaney) Pellegrino of Terryville passed away on April 9th at Yale New Haven Hospital after a courageous battle with cancer. He was born on May 20, 1950 in Hartford, the son of the late Frank and Mary (Pandolfi) Pellegrino. Frank is survived by his children Frank III, Anthony, Lena, and Margaret along with their spouses Kathryn, Beth, Jason, and Sean; his 10 grandchildren Derek, Frank IV, Tyler, Charlie, Collin, Joseph, Sammy, Cameron, Quinn and Jordan; his brother James Pellegrino; his sisters Theresa Lilly and Nancy Willis, and many nieces, nephews and in-laws. In addition to his beloved wife of 38 years, he was predeceased by his brother Enrico. A devoted sibling, husband, father, and grandfather, Frank was a proud family man. He was also proud of his 34 years of employment at Pratt and Whitney as an aircraft engine mechanic. In many ways, his life was defined by his hard work to support his family. Whether it was working extra hours at Pratt, growing his summer veggies, or building a fire in his wood stove to warm his home, Frank always put others’ needs before his own. He lovingly cared for his wife as she battled cancer, and took his wedding vows to heart. Lastly, in his final months, he devoted himself to his lovable and neurotic yellow lab, Chase, whom he and Martha loved for many years. He was also a man of many hobbies, and was a tinkerer until his final weeks. He loved fresh air, the outdoors, splitting firewood, and caring for his home. Throughout his life he was a cyclist, a dirt biker, a fisherman, and an avid gardener. He restored classic cars, and above all he was a proud penny pincher. Calling hours will be held on Friday, April 12 at O’Brien Funeral Home, 24 Lincoln Ave., Forestville/Bristol from 5PM until 8PM. Frank’s memorial service will be celebrated on Saturday, April 13 at 10AM directly at the Carlyle F. Barnes Memorial Chapel, at West Cemetery, 49 Pound St. in Bristol. In lieu of flowers the family requests donations to the Smilow Cancer Hospital Closer to Free Fund http://www.closertofree.com/honor-a-loved-one.aspx.